These only 2 teams won the triple crown in 16 or more seasons now. So which would be better if these met? Personally they are skill in Dun vs Me but teaming and stuff probable more wins in for Power. Feel free to respond anyhow. The emoticons are missing a Bass player and perhaps a finer Vocalist some turntables. Anyway it seems duel is Ease versus Riverside and Base is Zidane(yes leads from the front) versus Oder (much practitioner) in Warbird lastly it is also Iron Survivor versus vys. Power would win all 3. For half a second I thought this was going to be an appeal, which would have been hilarious. I don't see a single player on Power that could beat Primeside. You cant compare this... Dun vs me had different star limits, only one 6* out of my head... If you look at the lineups you know dun vs me would win all. Are you kidding me right now? 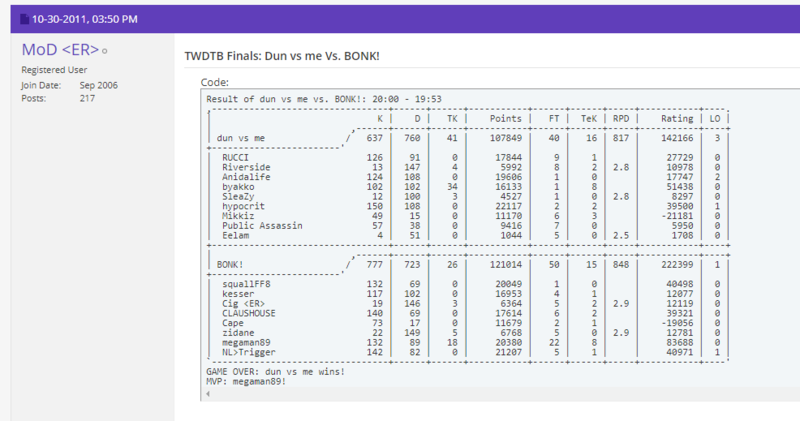 That dun vs me basing team was not good. That final was an absolute joke. We outkilled them by 140 and lost 20:00-19:53 because it was NFL season and Cape threw the game watching TV and dying 17 times. Power would run them over. BONK! with any other terr would run them over.